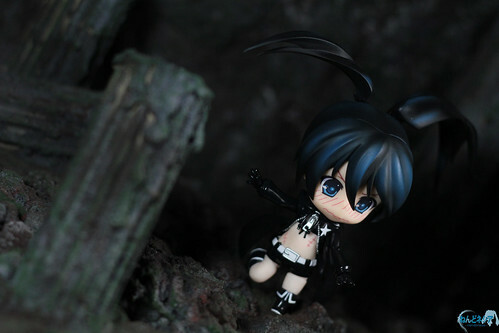 Well, I guess this topic is one of the most requested Nendoroid articles ever. Actually, I have already had planned to write about this previously, but then it got overshadowed by other news and topics. …. until a few days ago, when some visitor of our Facebook page said that they are having difficulties making their Nendoroid to stand without the stand base. It served as a reminder for me to write about this particular topic. So … there you have it – I am going to share some common ways to have your Nendoroid to stand without the base. 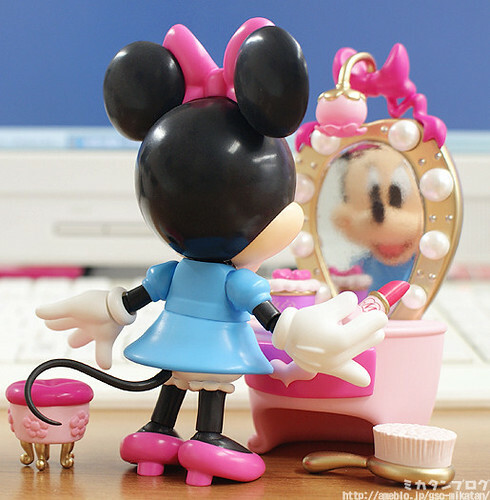 Yeah, we know that Nendoroid Minnie Mouse has been available for pre-order since this morning, so it is only natural for Mikatan to have Mickey’s girlfriend for the usual preview treatment. Nendoroid Minnie Mouse made a surprise appearance as she is available for pre-order starting today alongside Nendoroid Petit iDOLM@STER 2 – Stage 01. Wha-!? 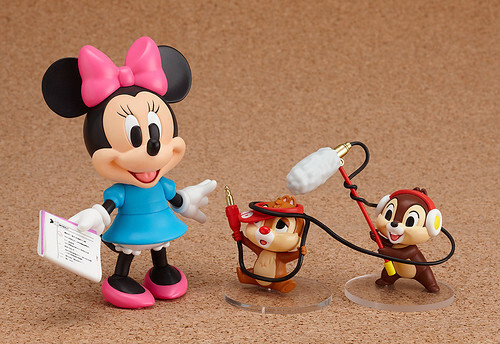 Nendoroid Mickey Mouse was released to commemorate the 100th Nendoroid release, and now Minnie Mouse will also be joining the Nendoroid series to keep him company! 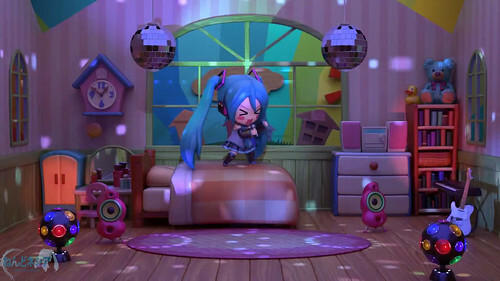 She comes with various extras that were drawn up specially for her Nendoroid release, such as a dresser with lots of make-up goodies to help her get ready for the show – as well as a script, so she can check her lines before filming starts! Chip and Dale are also included as extras, carrying some sound equipment to help out with the filming! 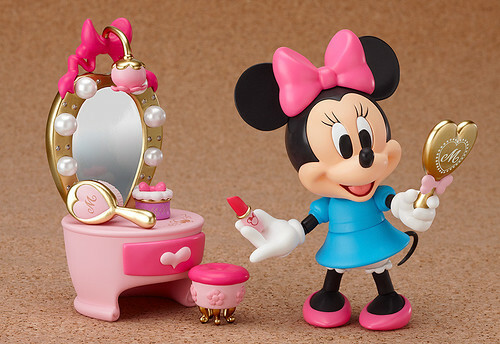 Be sure to display her together with Mickey Mouse and recreate the world of Disney in Nendoroid size! Meanwhile, Nendoroid Petit iDOLM@STER 2 – Stage 01, which has received Mikatan’s preview treatment yesterday, are also available for pre-order starting today. Aiming to be top idols as Nendoroid Petites! From the popular idol production simulation game, ‘THE IDOLM@STER2’ comes a set of Nendoroid Petite figures of the cute idols! Haruka Amami, Chihaya Kisaragi, Makoto Kikuchi, Yayoi Takatsuki, Mami Futami and Takane Shijou are all dressed up in their stage outfits and ready to perform. There is also one secret character to collect! Become the producer for these adorable idols – the stage can be your very own desk! The whole set will cost you around 3800 Yen and it is scheduled for June release. Yep, this is the iDOLM@STER Petit set we saw at the WonFes. 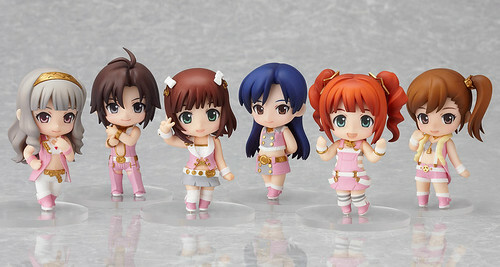 The official name for this Petit set is: Nendoroid Petit iDOLM@STER 2 – Stage 01 and it consists of seven Nendoroid Petits. By the way, the pre-order for this set will start today and Mikatan hinted that the second batch stage will be announced soon as well. It seems that the first PS Vita game to have Nendoroid Petit will be Legend of Heroes: Trails of Zero Evolution (a.k.a Eiyuu Densetsu: Zero no Kiseki Evolution). 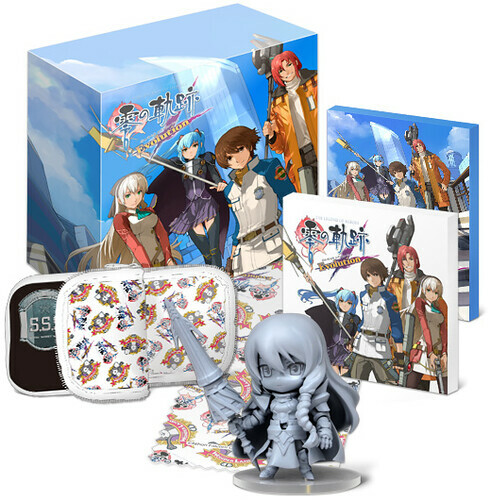 Yep, the game will have a limited/exclusive boxset, courtesy of Chara-Ani, that will include Nendoroid Petit Arianrhod among other exclusive stuff.